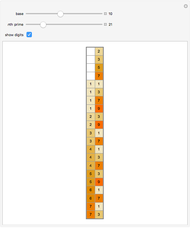 This Demonstration displays digit sequences of prime numbers up to a certain point in a specified base. 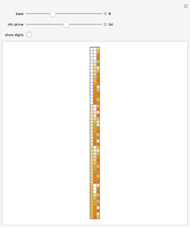 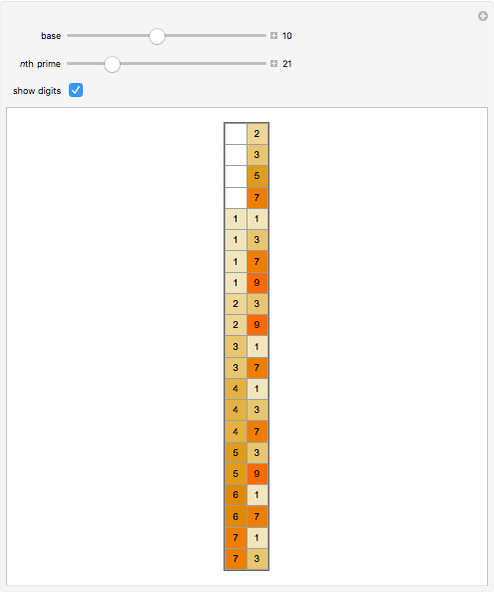 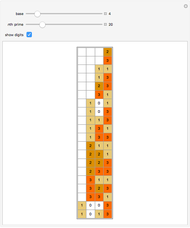 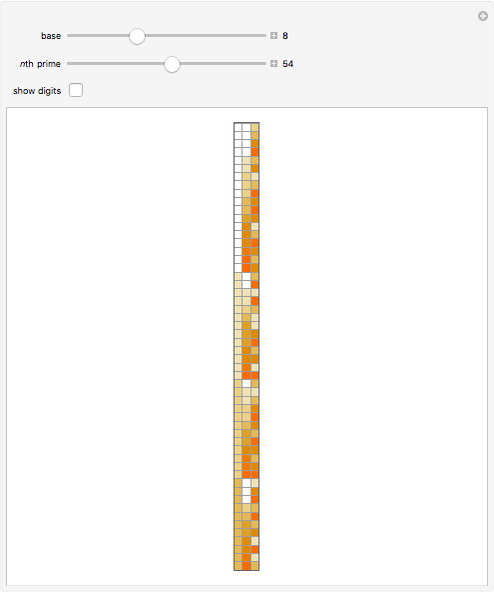 Check "show digits" to overlay a numerical representation of each digit. Anthony I. Joseph "Prime Numbers in Various Bases"